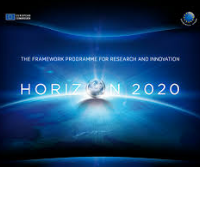 The Info Day organised in Brussels aimed at informing potential applicants about the Responsible Research and Innovation - Social Sciences and Humanities (RRI-SSH) approach in the ICT-related parts of the Work Programmes 2016-2017 of Horizon 2020. On December 7, 2015, an Info Day took pace for those interested in submitting the project proposals with a RRI-SSH dimension for ICT-related Horizon 2020 calls in Work Programme 2016 - 2017. The Info Day was web-streamed and a full video recording of the event is available here. Those following the webstream were invited to send in their questions using the hashtag #RRISSH4ICT on Twitter. The list of participants can be accessed here. All presentations and the pitches will be soon made available below.